Earlier this month, the youth motocross champion, special effects creator, inventor, TV presenter, and Robot Wars competitor, [Rex Garrod] died at the age of 75 after a long battle with dementia. We do not often carry obituaries here at Hackaday, and it’s possible that if you are not a Brit you may not have heard of [Rex], but his work in the time before YouTube would have made him an international must-watch star had he been operating in the age of on-demand Internet video. I first became aware of Rex when he appeared as assistant to [Tim Hunkin] on his Secret Life of Machines TV series in the late 1980s. He was the man whose job we all wanted, making the most incredible machines and operating them for our entertainment. Our Hardware heroes tribute to [Tim] has a picture of him operating the needle on a giant mock-up of a sewing machine, but he appeared in many more episodes. Of the many tributes to [Rex] that have appeared over the last few days it is [Tim]’s one that probably says the most about his appeal to our community. His propensity for picking up interesting parts from junkyards strikes a chord, and the tale of hugely overpowering car wiper motors by allowing them to be submerged in water is pure genius. To a slightly younger generation he is best known for his appearances in the British Robot Wars series‘ with his Cassius series of fighting robots. He created one of the first really potent flipper robots in UK robotic combat, and incidentally the first effective self-righting mechanism. As one of the many members of the SMIDSY team that didn’t appear on the recorded TV series’ I encountered him only peripherally, but I remember his work being a major influence on SMIDSY’s run-any-way-up design. Meanwhile for a younger generation still he created the models for the popular children’s TV character Brum, an anthropomorphised scale-model Austin 7 car. 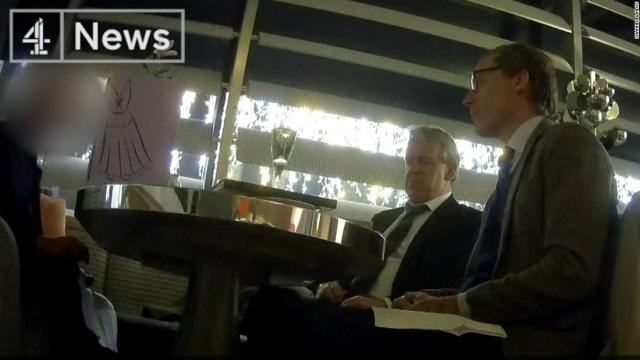 We’ll leave you with a couple of videos featuring [Rex]. The first is from The Secret Life of Machines, in which along with [Tim] he helps explain electronics from first principles, while the second is a fan-created medley of his Robot Wars appearances. Rest in peace [Rex], and thank you. If you are a science fiction fan, you are probably aware of one of the genre’s oddest dichotomies. A lot of science fiction is concerned about if a robot, alien, or whatever is a person. However — sometimes in the same story — finding life is as easy as asking the science officer with a fancy tricorder. If you go to Mars and meet Marvin, it is pretty clear he’s alive, but faced with a bunch of organic molecules, the task is a bit harder. Now it is going to get harder still because Cornell scientists have created a material that has an artificial metabolism and checks quite a few boxes of what we associate with life. You can read the entire paper if you want more detail. Three of the things people look for to classify something as alive is that it has a metabolism, self-arranges, and reproduces. There are other characteristics, depending on who you ask, but those three are pretty crucial. The material is a biomaterial that emerges from its building blocks and arranges itself – first into polymers and eventually tiny shapes. Starting from a 55-nucleotide base seed sequence, the DNA molecules were multiplied to create tiny chains of repeating DNA. The material was placed in a flow of chemicals — the equivalent of food for the synthetic beast — the DNA synthesized its own new strands, with the front end of the material growing and the tail end degrading simultaneously. The effect is that the “creature” moves against the flow like a slime mold does. If you’ve just invented fake life and it will move, what do you do? Race them against each other, of course. That’s exactly what they did — you can’t make this stuff up. Although the material uses instructions coded with DNA, it is still pretty crude, only lasting a few generations for now. The material also doesn’t respond to stimulus — another key indicator of life. Of course, because it is DNA-based, it is possible that they’ll succeed in making it do so or that it could mutate on its own. You can only wonder if life started with simple building blocks like this untold number of years ago. We’ve seen DNA computation lately. We’ve even seen tiny voltmeters, too. Maybe DNA will be the next generation’s silicon. Whether it comes to rescuing people from a cave system or the underground maze of sewers, tunnels and the like that exist underneath any major city, having accurate maps of the area is always crucial to know what the optimal routes are, and what the expected dangers are. The same is true for combat situations, where such maps can mean the difference between the failure or success of a mission. This is why DARPA last year started the Subterranean Challenge, or ‘SubT’ for short. The competition has a ‘systems track’, which has teams developing physical systems that can perform their intended function in a physical environment, ranging from tunnels, urban underground to cave systems. The next qualification deadline is April 22, 2019, for the Tunnel Circuit in August. In addition to the systems track, there’s also a software-only Virtual competition, which requires that algorithms and similar are developed which can successfully map a virtual environment. Both the systems and virtual tracks will have the final challenge day in 2021. If none of this tickles your fancy, there are also the US Government’s ‘Challenge’ website, which collects a range of challenges offered by government agencies, often for monetary awards. 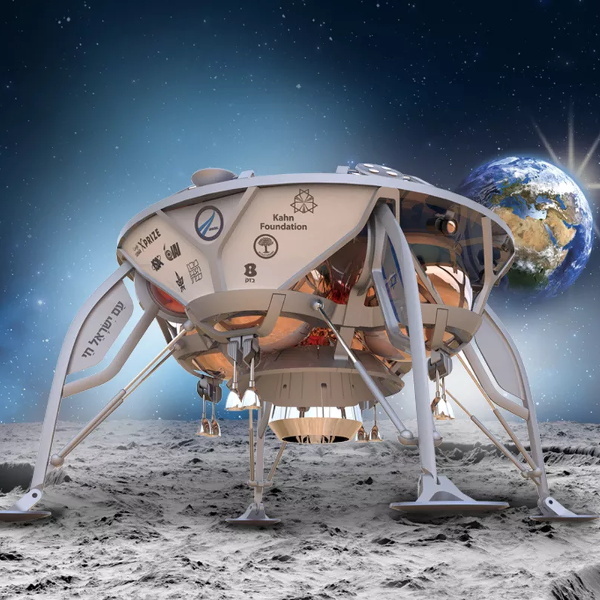 Some bittersweet news today as we get word that Israel’s Beresheet spacecraft unfortunately crashed shortly before touchdown on the Moon. According to telemetry received from the spacecraft right up until the final moments, the main engine failed to start during a critical braking burn which would have slowed the craft to the intended landing velocity. Despite attempts to restart the engine before impact with the surface, the craft hit the Moon too hard and is presumably destroyed. It’s likely that high resolution images from the Lunar Reconnaissance Orbiter will eventually be able to give us a better idea of the craft’s condition on the surface, but at this point the mission is now officially concluded. It’s easy to see this as a failure. Originally conceived as an entry into the Google Lunar X Prize, the intended goal for the $100 million mission was to become the first privately funded spacecraft to not only touch down on the lunar surface, but navigate laterally through a series of powered “hops”. While the mission certainly fell short of those lofty goals, it’s important to remember that Beresheet did land on the Moon. It didn’t make the intended soft landing, a feat accomplished thus far only by the United States, Russia, and China; but the fact of the matter is that a spacecraft from Israel is now resting on the lunar surface. Even though Beresheet didn’t survive the attempt, history must recognize Israel as the fourth country to put a lander on the surface of our nearest celestial neighbor. It’s also very likely this won’t be the last time Israel reaches for the Moon. During the live broadcast of the mission, after it was clear Beresheet had been lost, Prime Minister Benjamin Netanyahu vowed his country would try again within the next two years. The lessons learned today will undoubtedly help refine their next mission, and with no competition from other nations in the foreseeable future, there’s still an excellent chance Israel will be able to secure their place in history as the fourth country to make a successful soft landing. Of course you’ve got to get to the Moon before you can land on it, and in this respect, Beresheet was an unmitigated success. We previously covered the complex maneuvers required to put the craft into lunar orbit after riding to space as a secondary payload on the Falcon 9 rocket; a technique which we’ll likely see more of thanks to the NASA’s recent commitment to return to the Moon. 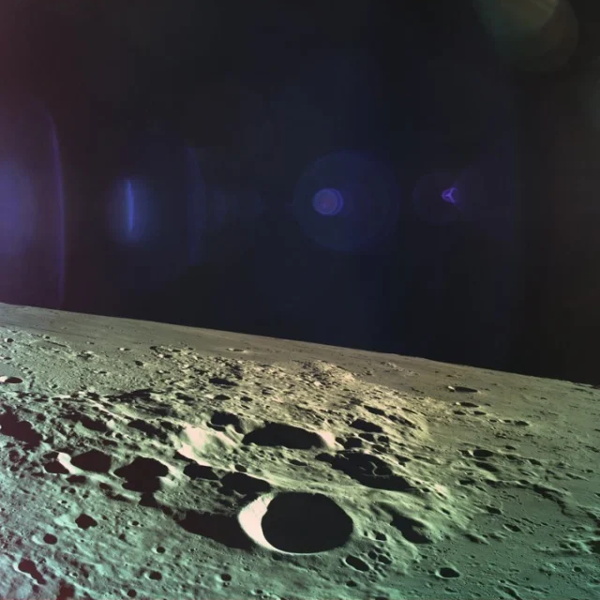 Even if Beresheet never attempted to land on the surface, the fact that it was able to enter into a stable lunar orbit and deliver dramatic up-close images of the Moon’s surface will be a well deserved point of pride for Israel. If there’s one thing to take away from the loss of Beresheet, it’s that travel among the stars is exceptionally difficult. Today we’re reminded that even the slightest miscalculation can quickly escalate into tragedy when we leave the relative safety of Earth’s atmosphere. In an era when a mega-rocket launching a sport’s car live on YouTube seems oddly common place, it can be easy to forget that humanity’s long path to space featured as many heartbreaking defeats as it does triumphant successes. This won’t be the last time that hundreds of millions of dollars worth of high-tech equipment will be lost while pushing the absolute edge of the envelope, and that’s nothing to be upset over. Humans have an insatiable need to see what’s over the horizon and that means we must take on a certain level of risk. The alternative is stagnation, and in the long run that will cost us a lot more than a few crashed probes. You read about well-publicised security exploits, but they always seem to involve somebody with a deity’s grasp of whatever technology is being employed, as well as a pile of impossibly exotic equipment. Surely a mere mortal could never do that! Researchers at Delft University of Technology have created a detector that enables the detection of a single photon’s worth of radio frequency energy. The chip is only 10 mm square and the team plans to use it to explore the relationship of mass and gravity to quantum theory. Hackaday is known for having the best community around, and we prove this all the time. Every month, we hold meetups across the United States. This, in addition to conferences and mini-cons across the globe mean Hackaday is the premiere venue for technical talks on a wide variety of hardware creation. Everything from Design for Manufacturing, to the implementation of blinky bling is an open topic. We’ve become so used to the Raspberry Pi line of boards that have appeared in ever-increasing power capabilities since that leap-year morning in 2012 when the inexpensive and now ubiquitous single board computer was announced and oversold its initial production run. The consumer boards have amply fulfilled their mission in providing kids with a pocket-money computer, and even though they are not the most powerful in the class of small Linux boards they remain the one to beat. We use a lot of voltmeters and we bet you do too. We have some big bench meters and some panel meters and even some tiny pocket-sized meters. But biological researchers at the University of Chicago and Northwestern University have even smaller ones. They’ve worked out a way to use a DNA-based fluorescent reporter to indicate the voltage across cellular membranes. According to ancient astronaut theorists, the lunar eclipse this weekend had an unexpected visitor. Right around the time of totality, a meteoroid crashed into the moon, and it was visible from Earth. Unlike most old consoles, the Vectrex is unique for having a vector-based display. This gives it a very different look to most of its contemporaries, and necessitated a built-in display, as regular televisions aren’t built to take vector signals. Not one to be limited to the stock screen size, [Arcade Jason] decided the Vectrex needed a projection upgrade, and built exactly that. When one of [Christian Haschek’s] co-workers found this Raspberry Pi tucked into their network closet, he figured it was another employee’s experiment – you know how that goes. But, of course, they did the safe thing and unplugged it from the network right away. The ensuing investigation into what it was doing there is a tour de force in digital forensics and a profile of a bungling adversary. AI today is like a super fast kid going through school whose teachers need to be smarter than if not as quick. In an astonishing turn of events, a (satelite)image-to-(map)image conversion algorithm was found hiding a cheat-sheet of sorts while generating maps to appear as it if had ‘learned’ do the opposite effectively[PDF]. Microsoft is really leaning into vaporwave these days. Microsoft is giving away knit Windows sweaters to social media influencers. Is it for an ugly sweater contest? Maybe, or maybe Microsoft is capitalizing on the mid-90s ＡＥＳＴＨＥＴＩＣ. Recently, Apple got back in their 90s logo game with the release of a few ‘rainbow Apple’ t-shirts. The spirit of the 90s lives on in tech culture. Intel just announced their new Sunny Cove Architecture that comes with a lot of new bells and whistles. The Intel processor line-up has been based off the Skylake architecture since 2015, so the new architecture is a fresh breath for the world’s largest chip maker. They’ve been in the limelight this year with hardware vulnerabilities exposed, known as Spectre and Meltdown. The new designs have of course been patched against those weaknesses. What has six wheels and runs on water? Azaris — a new off-road vehicle prototype from Ferox. Azaris has a rocker suspension modeled after the one on the Mars rover. The problem is, linking four drive wheels on a rocker suspension would be a nightmare. The usual solution? Motors directly in the wheels. But Ferrox has a different approach. Perhaps it is true that if all you have is a hammer every problem you see looks like a nail. When you think of augmented reality (AR), you usually think of something like the poorly-received Google Glass where your phone or computer overlays imagery in your field of vision. Bose isn’t known for video, though, they are known for audio. So perhaps it isn’t surprising that their upcoming (January 2019) AR sunglasses won’t feature video overlays. Instead, the $200 sunglasses will tell you what you are looking at. Although hard to believe in the age of cheap IMSI-catchers, “subscriber location privacy” is supposed to be protected by mobile phone protocols. The Authentication and Key Agreement (AKA) protocol provides location privacy for 3G, 4G, and 5G connections, and it’s been broken at a basic enough level that three successive generations of a technology have had some of their secrets laid bare in one fell swoop. The crash of the videogame market in 1983 struck down a slew of victims, and unique products such as the Vectrex were not immune to its destructive ways. The all-in-one console featured a monochromatic vector display and offered an arcade-like experience at home complete with an analog joystick controller. It sadly never made it to its second birthday before being axed in early 1984, however, thanks to the [National Videogame Museum] we now how a glimpse of an alternate history for the Vectrex. They posted some photos of an unreleased Vectrex prototype that was restored to working order. On November 10th, [Theodore Rappaport] sent the FCC an ex parte filing regarding a proposed rule change that would remove the limit on baud rate of high frequency (HF) digital transmissions. According to [Rappaport] there are already encoded messages that can’t be read on the ham radio airwaves and this would make the problem worse. [Rappaport] is a professor at NYU and the founding director of NYU Wireless. His concern seems to relate mostly to SCS who have some proprietary schemes for compressing PACTOR as part of Winlink — used in some cases to send e-mail from onboard ships. The Apollo Guidance Computer is a remarkably important piece of computing history. It’s the computer that guided the Apollo lander to land on the moon. We’ve seen a few replica builds over the years, but [CuriousMarc] got a closer look at one of the real things. In this video, [Marc] gets a look inside as his colleagues take apart one of the original AGCs and get a closer look at the insides of this piece of computer history. We hear digital audio, we see digital video, and we feel digital haptic feedback. However, we don’t have an analog for the sense of smell. [Kasun] and his team of researchers from the Imagineering Institute in Malaysia are in the midst of changing that reality. Their project aims to transmit fragrances via electronic stimulation. Though it’s really more of a step toward creating a multi-sensory internet. It’s that time of year again, and the Raspberry Pi Foundation has some new hardware for you. This time, it’s an improved version of the Raspberry Pi Model A, bringing it the speed and power of its bigger brother, the Raspberry Pi Model 3 B+. Who’s Going On Your Fifty? Who will show the best soldering skills at the Hackaday Superconference next week? We have a little — in fact, a very little — challenge for you: solder surface mount components down to a tiny 0201 package. This is the SMD Soldering Challenge and successfully finishing the board at all shows off the best of hand soldering skills, but during the weekend we’ll also keep a running leader board. Every day, we’re connecting more and more devices over the internet. No longer does a household have a single connected computer — there are smartphones, tablets, HVAC systems, deadbolts — you name it, it’s been connected. As the Internet of Things proliferates, it has become readily apparent that security is an issue in this space. [Andreas Spiess] has been working on this very problem, by bringing HTTPS to the ESP8266 and ESP32. Ham radio operators bouncing signals off the moon have become old hat. But a ham radio transmitter on the Chinese Longjiang-2 satellite is orbiting the moon and has sent back pictures of the Earth and the dark side of the moon. The transceiver’s main purpose is to allow hams to downlink telemetry and relay messages via lunar orbit. Nearly a decade ago my friend [Dru] gave me an unforgettable tour late at night of Stokes Croft, the inner suburb of Bristol known at the time for its counterculture and artistic scene. It’s a place dominated by building-sized graffiti and murals, and it has a particular association with the Bristolian street artist [Banksy]. If you’ve not seen a Banksy in the wild, the place to do it is by Bristol Saturday night street lighting to the sound of passing revelers and traffic on the A38. With the explosion in cell phones, WiFi, Bluetooth, and other radio technologies, the demand for antennas is increasing. Everything is getting smaller and even wearable, so traditional antennas are less practical than ever. You’ve probably seen PCB antennas on things like ESP8266s, but Drexel University researchers are now studying using titanium carbide — known as MXene — to build thin, light, and even transparent antennas that outperform copper antennas. Bucking the trend for 3D printing, these antennas are sprayed like ink or paint onto a surface. Can You “Take Back” Open Source Code? It seems a simple enough concept for anyone who’s spent some time hacking on open source code: once you release something as open source, it’s open for good. Sure the developer might decide that future versions of the project close up the source, it’s been known to happen occasionally, but what’s already out there publicly can never be recalled. The Internet doesn’t have a “Delete” button, and once you’ve published your source code and let potentially millions of people download it, there’s no putting the Genie back in the bottle. We shouldn’t say iCub — the humanoid robot from Italy — is creepy. After all, human-like robots are in their infancy and an early computer or automobile would hardly be indicative of where those industries would take us. You can see the little guy in the video below. The effort is open source and was part of an EU project that has been adopted by 20 labs around the world. The video just shows a guy in VR gear operating the robot, but the website has a lot of technical information if you want to know more. French Defense Minister Florence Parly took a page out of Little Red Riding Hood when she recently called out a Russian satellite for having “big ears”. While she stopped short of giving any concrete details, it was a rare and not terribly veiled accusation that Russia is using their Luch-Olymp spacecraft to perform orbital espionage. There Is A Cost To Extended Lifetime Products. It’s 7.5%. Silicon and integrated circuits come and go, but when it comes to extended lifetime support from a company, it’s very, very hard to find fault with Microchip. They’re still selling the chip — new — that was the foundation of the Basic Stamp. That’s a part that’s being sold for twenty-five years. You can hardly find that sort of product support with a company that doesn’t deal in high-tech manufacturing. The fundamental passive components of electronics are the resistor, the capacitor, the inductor, and the oscillator, right? Actually, no, oscillators aren’t considered fundamental components because they aren’t linear. Resistors, capacitors, and inductors are also irreducible. That is, you can’t combine other passive components to model them unlike, say, a potentiometer. In the last few decades, though, we’ve heard of another fundamental component — the memristor. [Isaac Abraham] asserts, though, that the memristor isn’t a new fundamental component, but just an active device. Root Ventures just announced it has raised a second fund and is in search of startups to invest the $76,726,900 they now have burning a hole on their balance sheet. Their first fund of $31,415,926.53 went to some very cool hardware companies like Shaper, Particle, Plethora, and Prynt. For those keeping score, the first fund is Pi and the second is the speed of sound — it’s a geeky engineer thing. We’ve been following the ups and downs of Radio Shack for a while now, and it looks like another chapter is about to be penned in the storied retailer’s biography – and not Chapter 11 bankruptcy this time. If you’ve followed any of our coverage of quantum computing, you probably know that the biggest challenge is getting quantum states to last very long, especially when moving them around. Researchers at Princeton may have solved this problem as they demonstrate storing qubits in a lab-created diamond. The actual publication is behind a paywall if you want to learn even more. Summer is here, and it’s time for the question on everyone’s mind: how are they going to get the fuselage of a 747 from the California desert to Burning Man? You can’t put it on a train, and it’s much wider than any truck. This Friday, we’re not going to be answering the modern-day riddle of the Sphinx, but we are going to the talking about other art cars. For this week’s Hack Chat, we’re going to be discussing dragons made out of school buses and pyrotechnics. Fans of technology will recall a number of years when Honda’s humanoid robot Asimo seemed to be everywhere. In addition to its day job in a research lab, Asimo had a public relations side gig showing everyone that Honda is about more than cars and motorcycles. From trade shows to television programs, even amusement parks and concert halls, Asimo worked a busy publicity schedule. Now a retirement party may be in order, since the research project has reportedly been halted. It has been an exciting time to be a retro computer enthusiast in recent years, and the availability of affordable single board computers, systems-on-chip, and FPGAs have meant that retro hardware could be accurately reproduced or emulated. A host of classic micros have been reborn, to delight both the veterans who had the originals, and a new crop of devotees. After recent talks, Microsoft has now officially confirmed that it will be merging GitHub to master. The acquisition will cost $7.5 billion, and has received mixed reactions so far. A staple of the open source community, GitHub is well known to Hackaday readers, and has played a key role in developing an incredible amount of the software we use on a daily basis. We have a lot of respect for the hackers at NASA’s Jet Propulsion Laboratory (JPL). When their stuff has a problem, it is often millions of miles away and yet they often find a way to fix it anyway. Case in point is the Curiosity Mars rover. Back in 2016, the probe’s rock drill broke. This is critical because one of the main things the rover does is drill into rock samples, collect the powder and subject it to analysis. JPL announced they had devised a way to successfully drill again. There was a time when experimenting with software defined radio (SDR) was exotic. But thanks to cheap USB-based hardware, this technology is now accessible to anyone. While it is fun to play with the little $20 USB sticks, you’ll eventually want to move up to something better and there are a lot of great options. One of these is SDRPlay, and they recently released a new piece of hardware — RSPduo — that incorporates dual tuners. From the gaping maw of the infosec Twitterverse comes horrifying news. PGP is broken. How? We don’t know. When will there be any information on this vulnerability? Tomorrow. It’s the most important infosec story of the week, and it’s only Monday. Of course, this vulnerability already has a name. Everyone else is calling it eFail, but I’m calling it Fear, Uncertainty, and Doubt. Update: eFail site and paper now available. This was released ahead of Tuesday’s planned announcement when the news broke ahead of a press embargo. 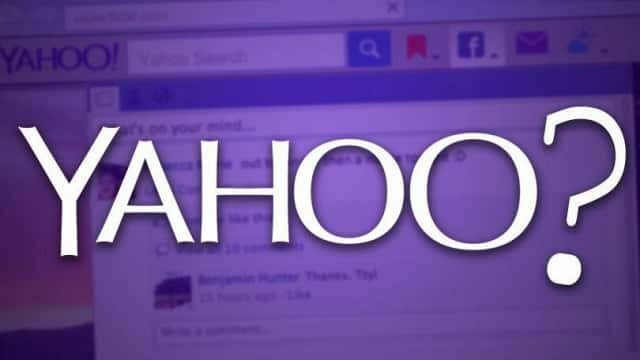 Read the rest of Yahoo! 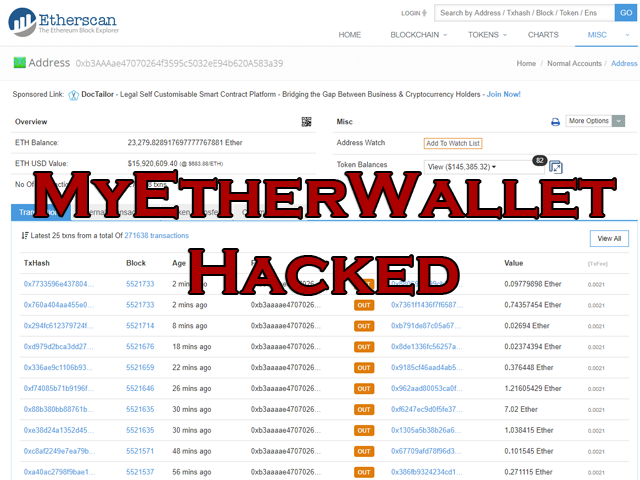 Fined 35 Million USD For Late Disclosure Of Hack now! Only available at Darknet. Somewhere, in a storage closet used by every computer science or engineering program, is a robot arm. It’s there, you’ve probably never seen it, but it’s there. Originally, this hugely expensive robotic arm was intended to be a truly remarkable pedagogical tool, allowing students to learn about reverse kinematics and control systems. Now, most likely, that robotic arm is covered in dust, either because the arm itself is broken or because the only instructor that used it retired. Yes, you read that last line correctly. The North Star will be open source hardware. Leap Motion is planning to drop all the hardware information next week. For this year’s Hackaday Prize, we started an amazing experiment. World Create Day organized hundreds of hackerspaces around the world to come together and Build Hope for the future. This was an experiment to bring community shops and workspaces together to prototype their entries for the Hackaday Prize, and boy was it a success. We had hackerspaces from Portland to Pakistan taking part, and these are just a few of the amazing hacks they pulled off. Students In Canada Repairing LipSyncs! Unless you’ve completely unplugged from the news, you probably are aware that the long-running feud between Oracle and Google had a new court decision this week. An appeal court found that Google’s excuse of fair use wasn’t acceptable and that they did infringe on Oracle’s copyrights to Java. Oracle has asked for about $9 billion in damages, although the actual amount is yet to be decided. In addition, it is pretty likely Google will take it up to the Supreme Court before any actual judgment is levied. Are you Dying to Upload Your Brain? 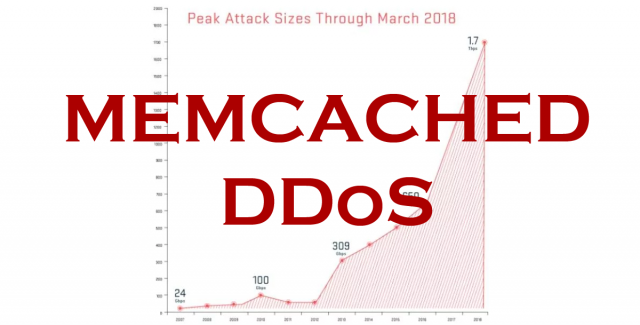 So after the massive DDoS attack trend in 2016 it seems like 2018 is going to the year of the Memcached DDoS amplification attack with so many insecure Memcached servers available on the public Internet. Unfortunately, it looks like a problem that won’t easily go away as there are so many publically exposed, poorly configured Memcached servers online (estimated to be over 100,000). Honestly, Github handled the 1.3Tbps attack like a champ with only 10 minutes downtime although they did deflect it by moving traffic to Akamai. Read the rest of Memcached DDoS Attacks Will Be BIG In 2018 now! Only available at Darknet. Hackaday AMA happening right now at Reddit. Image News slider plugin for WordPress is prone to multiple unspecified security vulnerabilities. Hackaday RBC team live streaming NOW! Cute News version 1.4.7 suffers from a cross site request forgery vulnerability. SN News is prone to an SQL-injection vulnerability because it fails to sufficiently sanitize user-supplied data before using it in an SQL query. News Script PHP version 1.2 suffers from cross site scripting and remote SQL injection vulnerabilities. SN News is prone to multiple SQL-injection vulnerabilities because it fails to sufficiently sanitize user-supplied data before using it in an SQL query. SN News versions 1.2 and below suffer from a remote SQL injection vulnerability in visualiza.php. Lego for girls? [Limor] has some ideas. SpaceX finally launches, [Scotty] makes it to space. Reminder: SpaceX launch tomorrow. Watch it live! Brawndo Drinking Fountain – It’s Got What Geeks Crave! Are your PCBs being tested as claimed? We don’t need no stinkin’ packages! Abstract: The Penta News Game Show rehashes a collection of absurd, day-to-day news items of 2011 to entertain the audience, let the Net participate, and make it's winners heroes. The Penta News Game Show rehashes a collection of absurd, day-to-day news items of 2011. The contestants will have to answer 42 questions for your entertainment. If they can't answer you (Yes, you on the Internet.) can help out. Get your IRC clients ready. Further, a Web browser will be of great help. If you have participated in last years show you will enjoy a few adjustments and new jokers.